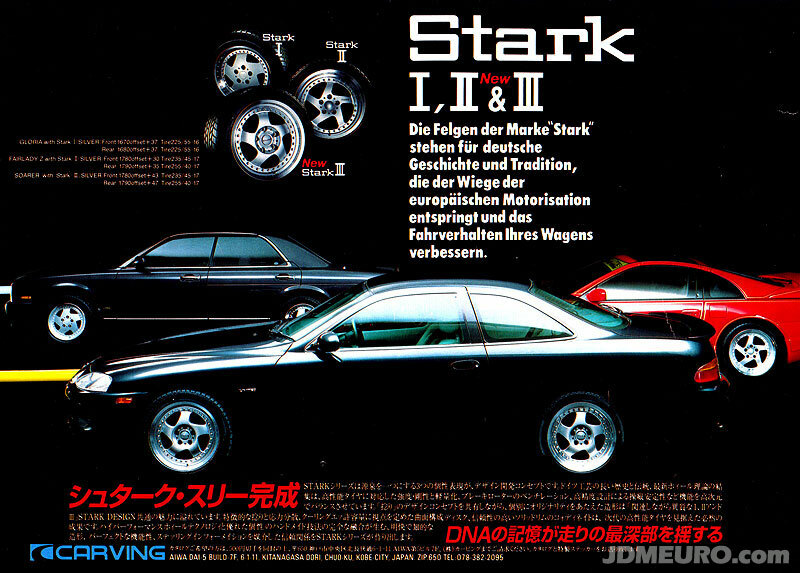 The Carving Stark I & Carving Stark II are JDM Wheels which are iconic when it comes to directional wheels. The main difference between the 2 wheels are Carving Stark I have thicker spokes with more of a full face for a aero look and the Carving Stark II have thinner spokes which give it more of a modern cooling look. Both Carving Stark I & Carving Stark II feature 3 piece construction and are manufactured by Work Wheels. 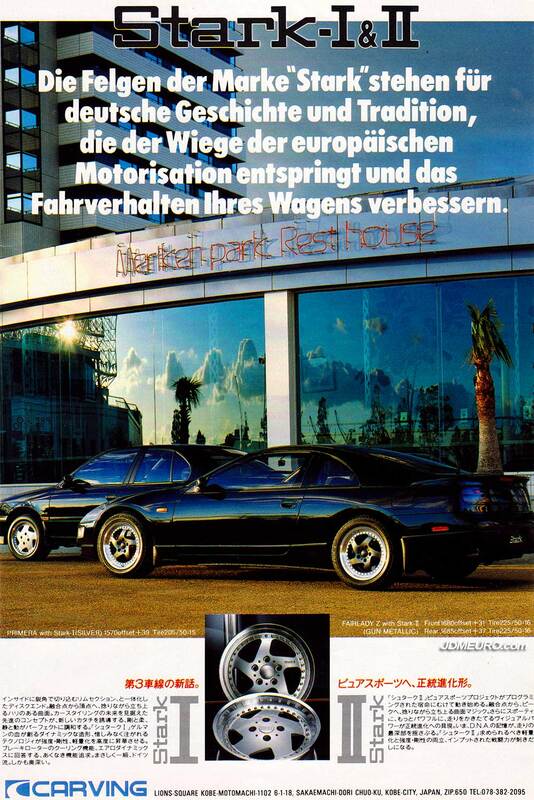 Pictured are the Carving Stark II on a Z32 Nissan 300ZX / Nissan Fairlady Z and the Carving Stark I on a Nissan Primera. 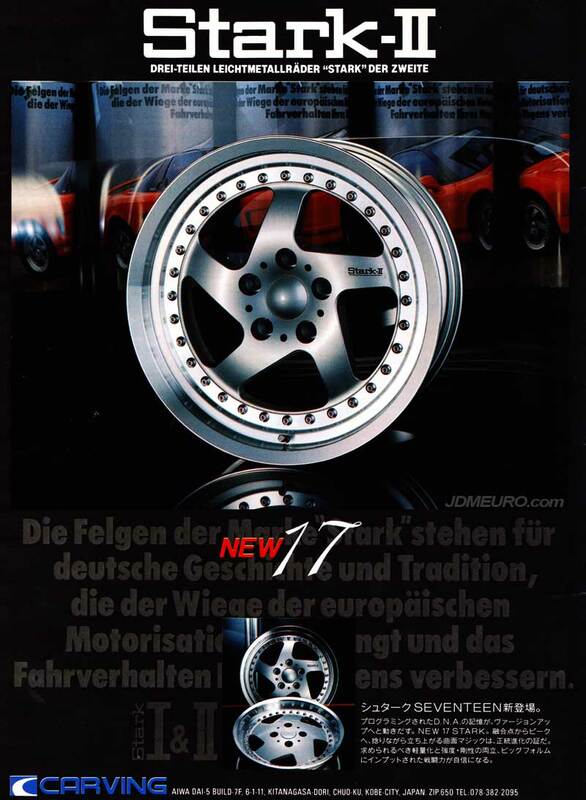 The Carving Stark II are direction 5 spoke JDM Wheels made by Work Wheels. The Carving Stark II feature sandwich mount 3 piece construction with nice robust stepped lips. how to search domain names The Carving Stark series are noted for thier twisted spoke style, which the Carving Stark I have the llongest, thinnest stlye spokes. also shown towards the bottom are the Carving Stark I. Carving Stark I, Carving Stark II, Carving Stark III – Here is a close up of the wheel portion of the ad; please excuse the poor scan. I believe the Stark I is offered in 15″ and 16″ Sizes, and the Stark II and III are offered in 16″ & 17″ sizing. 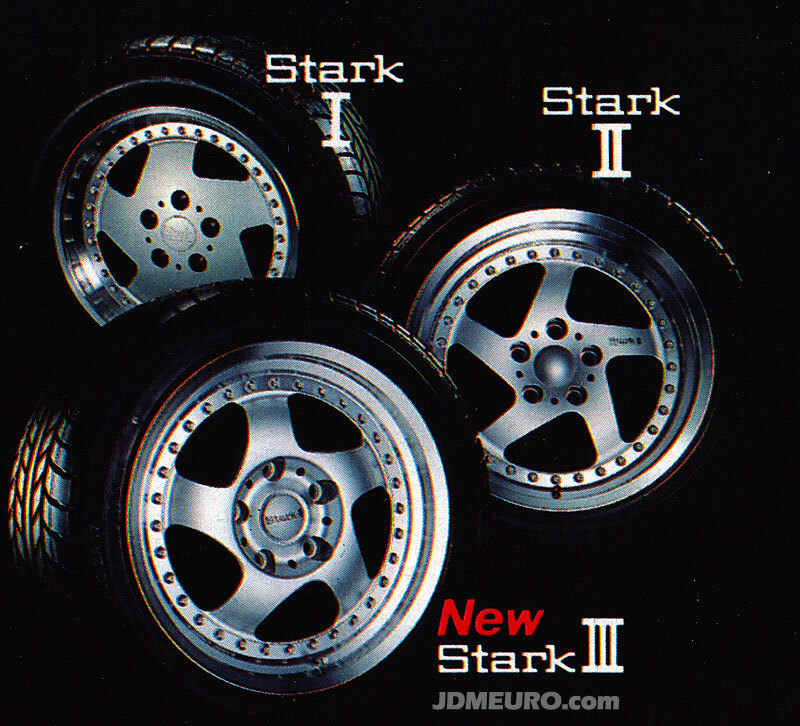 The Carving Starks are in fact Manufactured by JDM Wheel Manufacturer Work Wheels.